Oil on canvas painting by Christine Ay Tjoe done in 2007. Its an abstract art done with a sketchy technique unique to Christines style. 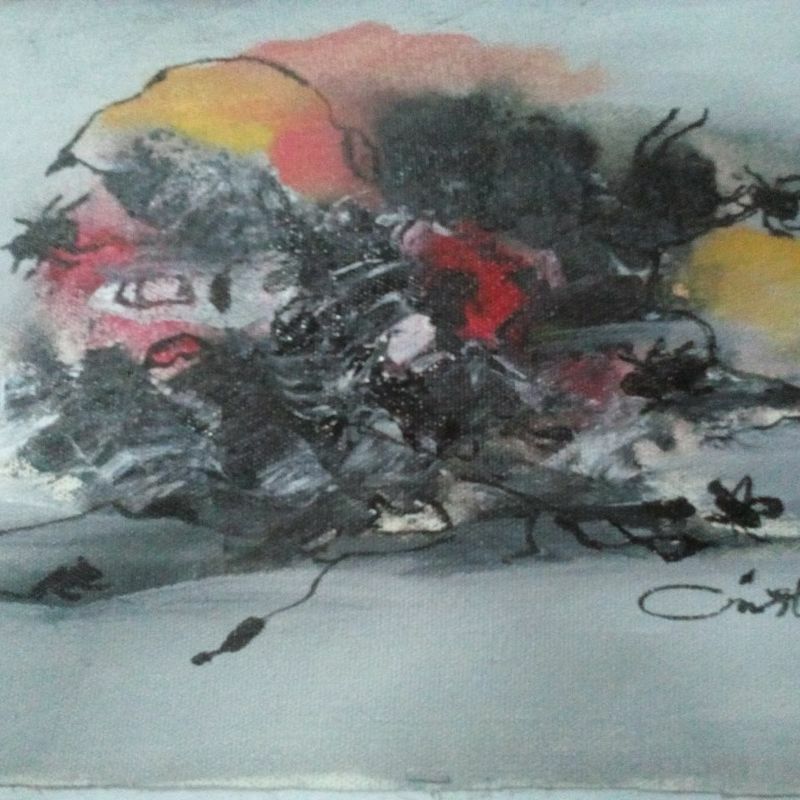 The painting is quite small measuring 40cmx25cm. It is in good condition. Painting acquired from Mdm Susan , a classmate of Christine at ITB Bandung, Indonesia in february 2018. through an artist /dealer Mr Herru Prayogo also from Bandung. The painting was a gift from Christine to her close friend,Susan. The work is now kept in Kuala Lumpur. Greetings and good afternoon, thank you for your submission to Mearto of this oil on canvas painting by Christine Ay Tjoe. It is of diminutive dimensions and nothing of this size has ever come to market before, this example is about a quarter of her average size so I chose to compare your piece to others which are stylistically similar in composition in regards to the negative space and painting techniques and then deduce the value based upon the difference in dimensions. While some of her canvases have crossed the 1 million mark, I've chosen not to include these in my evaluation and maintain a conservative estimate. Using this as a basis, I would expect your canvas to average between $15,000USD and $20,000USD. I think I've mentioned this on previous your appraisals, but as a reminder, with pieces of this gravity, while I can provide you with a current market value based on your images, I am unable to authenticate the work without seeing it in person (although your provenance statement seems unproblematic). If you have any follow-up questions, please let me know as I am at your service.